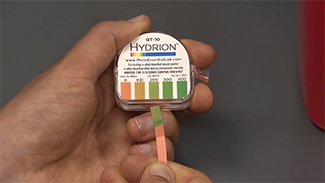 Restaurant are required by Health Code to regularly test sanitizer concentrations. 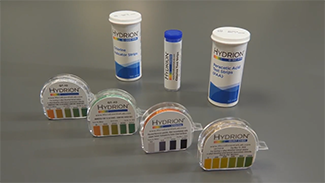 See how you can use our Hydrion test strips to properly measure concentration and ensure FDA compliance. 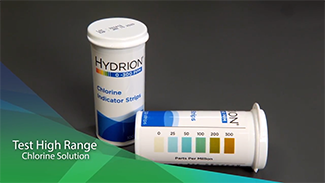 Learn how to properly measure restaurant sanitizer concentration levels with our Hydrion chlorine test strips. Learn how to properly test Quaternary Ammonium Solutions for the right restaurant sanitizer concentration. 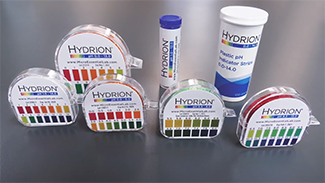 Our Hydrion pH papers are easy to use and come in a variety of pH ranges. Review our guide for a clear understanding of how to properly measure solutions. 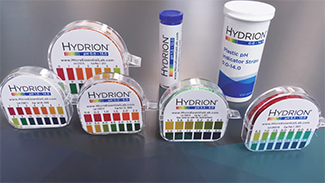 Our Hydrion plastic pH strips have the largest matching area in the industry, making them easy to use and accurate in measuring pH levels. 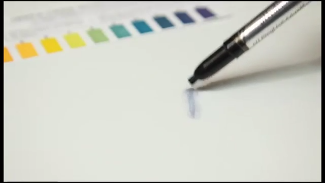 Micro Essential Lab's fast-acting and easy to use CH 300 test strips give clear results within 10-15 seconds. 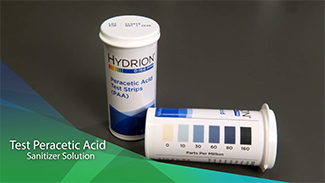 Our fast-acting and easy to use Peracetic Acid test strips give clear results within 10-15 seconds of dipping into the PAA solution. 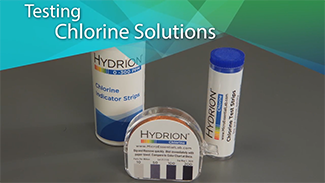 Learn how to properly measure the concentration of chlorine sanitizer solution with our Hydrion chlorine test strips. 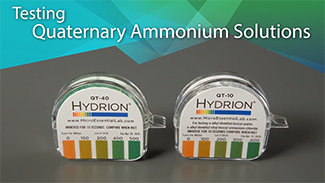 Learn how to properly test and measure Quaternary Ammonium sanitizer solutions. 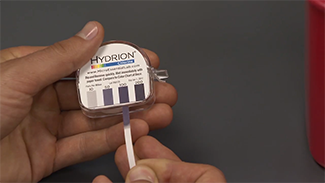 Learn how the Hydrion Mechanical pH Pencil measures the pH of any surface to the nearest full pH value.